Try a FREE Prenatal Yoga or Mom Yoga class! HomeTry a FREE Prenatal Yoga or Mom Yoga class! How do I enroll in my first free class? Are you in Southern California? If so, just choose the Prenatal Yoga or Mom Yoga + Baby class you want to go to by going up to “Classes” and pick from over 10 Locations. You’ll find schedules, directions and parking info on each Location Page. If one of our locations works for you, Create Your Account. Once you’re logged in, click the link on the welcome page to “purchase” your First Free Class (no credit card required). Then you are ready to go to Book Me and reserve a spot in your next class! Expect to leave feeling fabulous. If for some reason you can’t make it, no worries! We never charge you for booking, only attending class. The free class will stay in your account until you use it. If you can email the teacher and let her know we always appreciate it (teachers’ emails are on their Location Page or Contact Page). If you have a great experience (we hope you do! ), just login again and go to “Buy Classes.” You can always check to see how many classes you have left by going up to your Name, My Account, and My Info. Your classes are good for a year and are good at any location, for any Ma Yoga class, including Prenatal Yoga and Mom Yoga + Baby (where offered). Prenatal Yoga is safe for any time in pregnancy (from when you just missed your period to over 40 weeks), any yoga or exercise experience level, any belly size or shape. Mom Yoga + Baby is safe as soon as your doctor gives you the ok to exercise. For moms to be, as long as you are not on bed rest, you can start right away! The sooner the better, since you will learn ways to make space for baby, connect to your strength, and move toward aligning your muscles and bones to avoid common aches and pains so you can feel great all the way to motherhood and beyond – seriously. Yes, you are welcome to just drop in and try a class without emailing or calling – just Create Your Account, login and go to Book Me to reserve your spot! You don’t have to enter a credit card or any other info besides your name and email. We’re sure you’ll have questions! 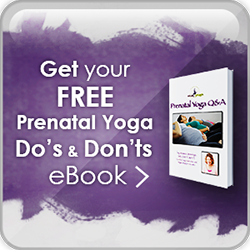 Just click here to enter your email address and receive your Prenatal Do’s and Don’ts eBook. You don’t need to bring anything. Come in comfortable clothing and if you have a mat, bring it. Otherwise, don’t worry – we have mats for you to use! The teacher will check in with everyone to find out any aches and pains, and just hear about what’s going on for you at this point in your pregnancy. Then, she will talk everyone through a short meditation and then take you step by step through strengthening poses that will help you feel both grounded and free. You are encouraged to rest whenever you feel like it, and to not do anything that doesn’t feel right to you. We teach to whoever is in the room, offering lots of variations, so whether you are a beginner or a teacher, you will enjoy a challenging, sweet practice. Since we teach in found locations, most of our classes are pretty small. 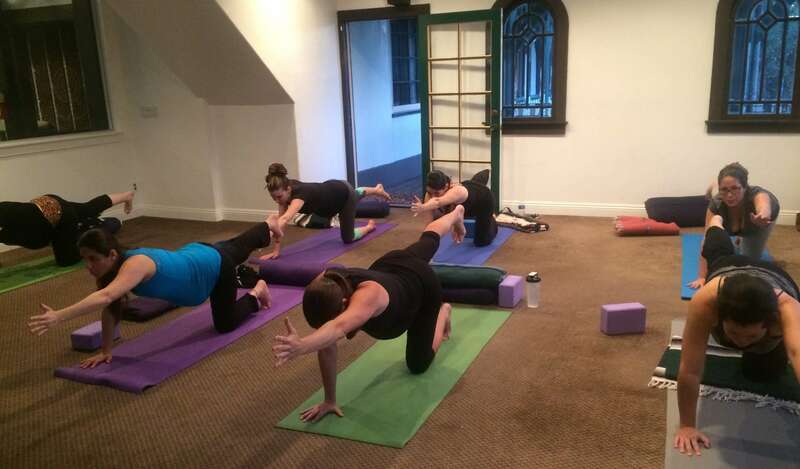 This allows us to create a friendly, playful, and supportive atmosphere for our yoga. Our teachers are well-trained in biomechanical, therapeutic alignment principles, so the practice will relieve common aches and pains in the shoulder, neck, and back, as well as help you feel connected to your own strength and make space for more breath. On an even deeper level, your yoga practice will help you make space in your heart for your baby and the other birth on the horizon – you as the mom to this baby! 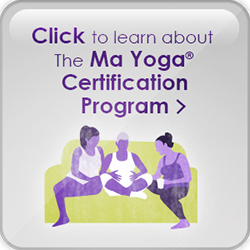 If you have questions about buying or booking classes, please email me at jessica@mayoga.com.